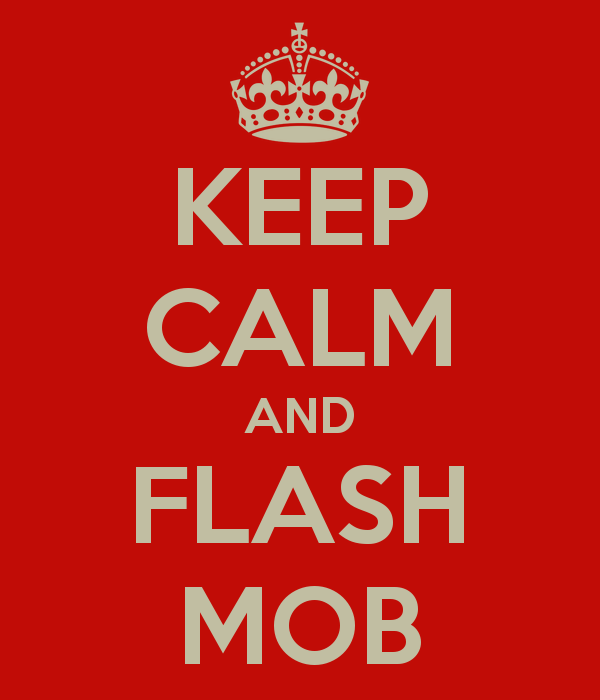 What I love about the flashmobs is that they are planted by a seed and are typically organic and truly amateur in nature. Yet they are also characteristic of a combination of military efficiency, complete anonymity, rapid communication and organization by internet. Normally, they occur without a specific purpose other than to be short-lived and fun and sometimes even baffling, with the purpose being left up to the interpretation of the viewers. We’ve all seen video of the Hallelujah chorus at the food mall court, the no-pants subway ride, or the flashmob that gathered to cheer on a little boy on a carousel. 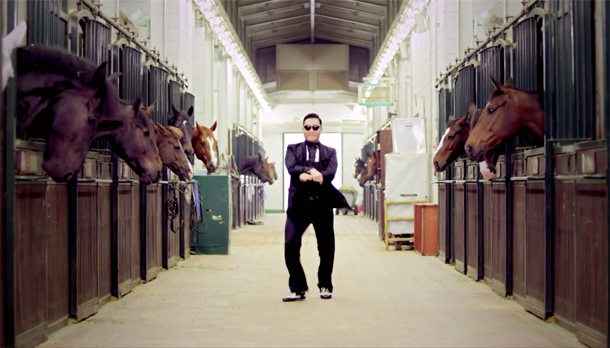 But unlike the typical flashmob, horse advocates today held their own single-issue mobilization which took place on talk show host Craig Ferguson’s Facebook page. 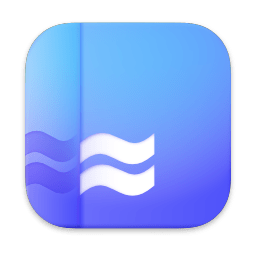 If you thought flashmobs were viral, you’ll never believe what one Facebook member was able to accomplish with a simple but creative idea, a Facebook group, and proactive friends and friends of friends. Of course, this Craigy Ferg skit was in response to the great 2013 horsemeat scandal, where Europe is now collectively gagging after discovering the massive introduction of horsemeat into the food chain now spreading throughout the world. 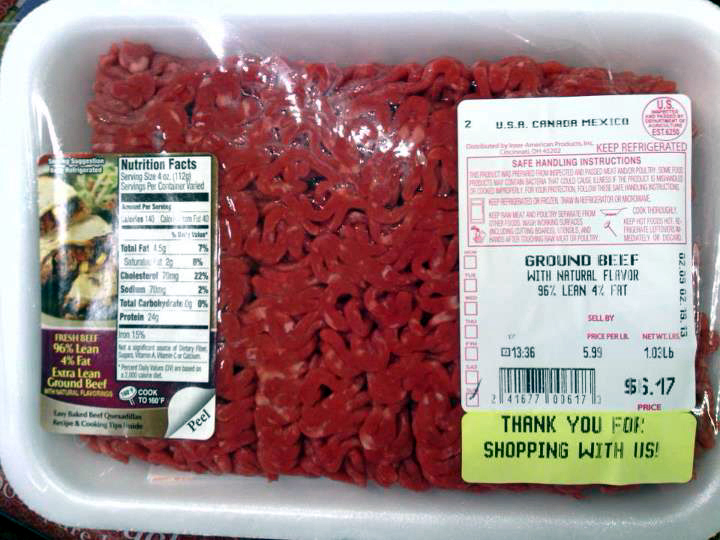 Major supermarket chains were found to be selling beef products that contained horse meat. Burger King sourced thousands of burgers from the same Irish beef supplier, and Findus “beef” lasagna was found to contain 100% horse meat. 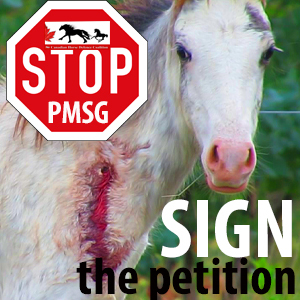 Horse lovers response to the issue of horse slaughter was enough to make a cowboy’s head spin when hundreds of horse lovers “mobbed” the Facebook page to say “neigh” to horsemeat. I stopped counting at 300 pics, which galloped past our goal of 100 photos. I’m sure we left more than a few clueless onlookers gaping in the background on Ferguson’s Facebook page. Be sure to visit the page and “like” our photos. 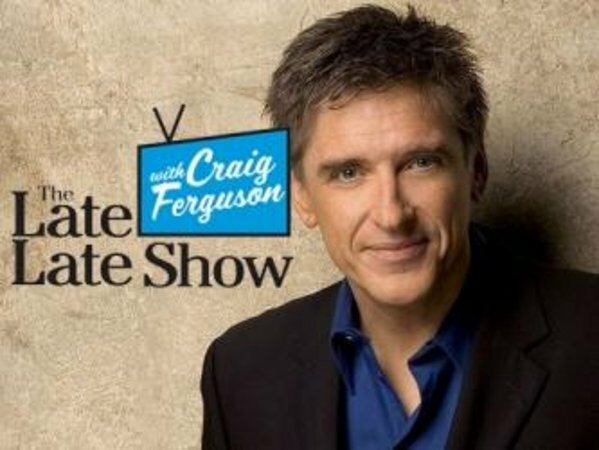 And please remember to thank Craig Ferguson (and like his Facebook page) for indulging our Facebook Flashmob! Finally, I’d like to add that we’ve had a successful event – like a true flashmob we must now go quietly into the night. Mr. Ferguson and his staff have been more than kind in permitting our 400+ posts, and we don’t want his staff to have to put on the show tunes as a signal that our event is over! Anyway, we have tried to reciprocate that kindness new Facebook “likes”, Twitter followers, and I’m sure new viewers! I count myself among those….Thanks to everyone! 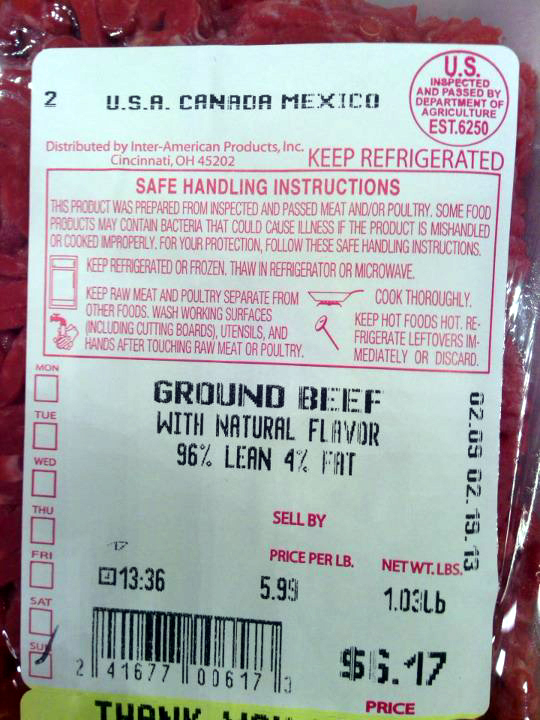 Scandal Stokes Curiosity: Is There Horsemeat In Imported US Beef Products? In June of 2012, I moved from a small town to Topeka, Kansas. That meant I had to find new, local places to do my regular shopping. I have not eaten meat in almost a year. But I live with my mother and she does eat meat, and for the time being, so do my daughters. But during one of the first visits to the store my mother frequents, I noticed something in the meat cooler that gave me serious cause for concern. 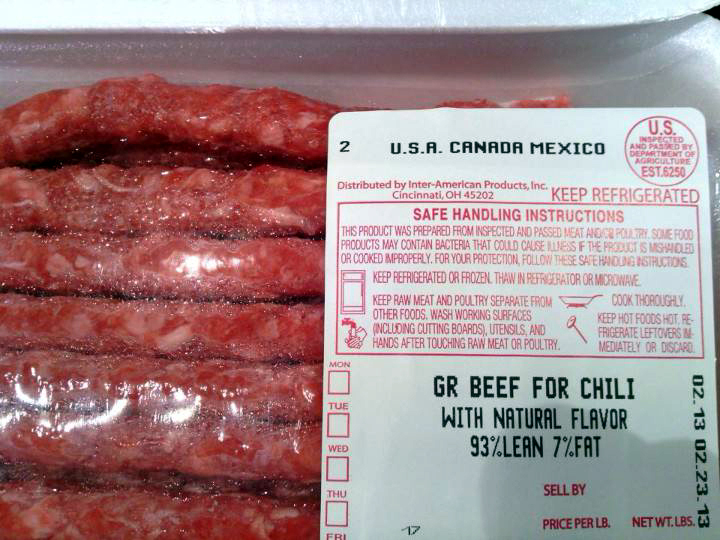 I also found a list of Mexican plants approved to export meat to the United States. 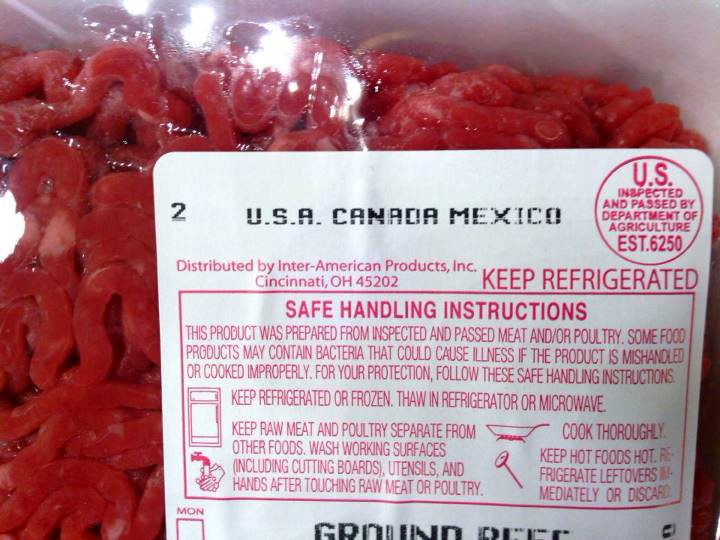 Of course, Mexico also slaughters horses and I wonder what guarantees are made to ensure we receive only beef? And if there are any assurances made, are they worth more than the paper they’re printed on? Here is an explanation of the labeling process and the requirements that are supposed to be met in order for import/export. Of course, as we all are seeing unfold in the UK, these requirements can exist, but there is really no guarantee they are being completely complied with unless every piece of meat is inspected. When visiting the website of Kroger/Dillon’s we see that there are many links to importation and other info containing product origination that are dead or inactive. This made me even more suspicious. I was unable to find any information with regards to the origin of their meat products other than the most generic information. Plenty of other information is provided though. I believe the origin of products that we eat is very important and should be available for consumers to have access to, especially with the meat scandal actively taking place overseas. Now that the dangers of horse meat are being discussed in mainstream news articles and brought to everyone’s attention, why is it even a consideration to legalize horse slaughter in the State of Oklahoma (For Export Only)? What kind of government would allow the slaughter, sale and export of a product (animal, pet) that is so dangerous, unregulated and inhumane that consumption of it is not even allowed in its own state? It just further confirms the belief that the government officials suggesting such ideas are nothing other than selfish, irresponsible and dishonest. In my opinion they are recklessly participating in an act of agro-terrorism by slaughtering companion animals for food. 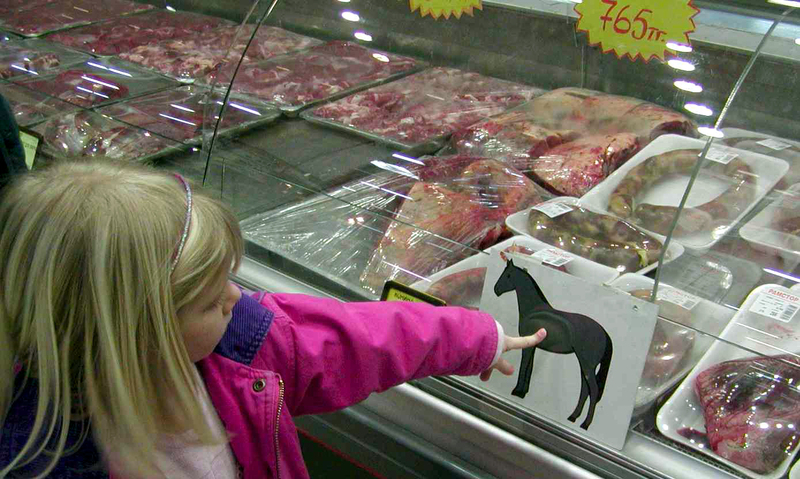 I am not so concerned for myself, but for the lives of my children, my horses and the rest of the world that places trust in the food system. It takes a special type of idiot to condone the preparation of a food source that they personally do not dare eat. I have sent my faxes and made my phone calls and will continue to do so. We’ve presented a loud and unified voice in other states, and now we must stop the process taking place in Oklahoma, where slaughter would be legalized for horses both wild and domestic. Please read the following sources of information and take action now! Oppose SB375 and HB1999. Vote NO to Legalizing Horse Slaughter and Horse Meat Consumption in Oklahoma and Vote NO on the Export of Horse Meat to Outside Entities including other U.S. States or Foreign Countries.